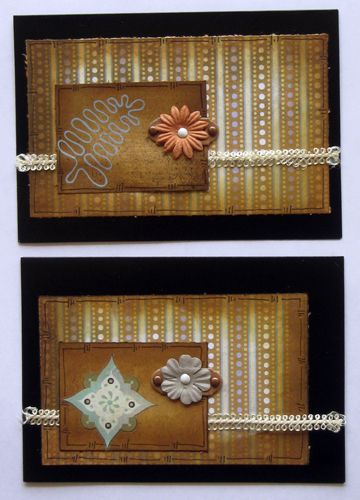 Here are a couple of my non-sentiment cards - but leaving room to add sentiments if desired. very pretty I really like the tag with the flower on it. Once again just lovely. You are very tallented at bringing embelishments together. Thes are wonderful and rich. Beautiful Kathy! Beautifully done Kathy. And these were even more wonderful IRL.